Will the budget create a bang? The national Democratic Alliance (NDA) government will propose its first full-year budget on February 28. 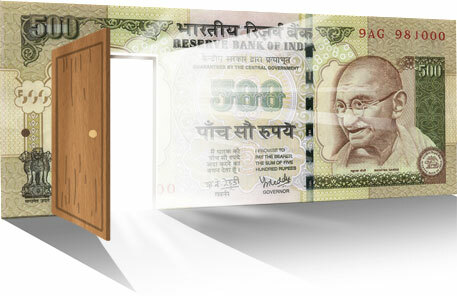 Usually, budget is the most sought-after instrument to gauge the governance and development agenda of a new government, notwithstanding the recent trend of governments making major policy and financial decisions outside the purview of the Union budget. The budget for 2015-16 is important for other reasons too. First, it will test the general perception that the government will curtail rural development expenditure. Secondly, the new budget comes at a time when there are initial symptoms of a rural economic crisis due to slowdown in the infrastructure sector in urban areas that sustains a large number of rural migrants. The budget will be the first occasion when one can infer the government’s tentative agenda to avert this crisis. Thirdly, the budget with many strong fiscal strings attached to it will be crucial to Prime Minister Narendra Modi’s flagship initiatives such as Swachh Bharat Abhiyan, Smart Cities and Health for All. It will be the first opportunity for the 10-month-old government to showcase its governance agenda. NDA has emerged victorious in many state elections since the Bharatiya Janata Party came to power. The budget is going to lead the government into its second year with substantial work to finish. To start with, let’s categorise the expectations from the budget into three aspects: developmental, economic and political. Without major state elections in the near future, the political aspect of the budget is limited to adhering to the demands of the states where new governments have taken charge, like Jharkhand, Maharashtra and perhaps Jammu and Kashmir. On the economic front, the fiscal deficit and tax cuts will be well within expectations. The budget is crucial from the developmental aspect. It is preceded by key changes like scrapping of the Planning Commission and abandoning the elaborate (however frivolous it may be) consultation with civil society groups for preparing the budget. The new body that has replaced the Commission is primarily an advisory group but with heavy state representation. The budget may, thus, introduce changes in the Centrally sponsored programmes. The Union government may empower the states significantly to take decisions on how and where to spend Central development funds. Meanwhile, states have been demanding more say in the design and implementation of Central schemes, and the budget may oblige. Even though new programmes may be declared with names suitable for the government’s political legacy, the states may get substantial autonomy to use the funds. This is compatible with the job description of the new NITI Ayog, which will just monitor implementation of programmes and evaluate them for outcomes. The budget may be the beginning of what Modi used to emphasise during his election campaigns—the “era of cooperative federalism”. Another highlight will be the government’s treatment of two big development programmes—the Mahatma Gandhi National Rural Employment Guarantee Act (MGNREGA) and the National Food Security Act. Both will need huge monetary provisions. But going by recent developments like delayed wage for MGNREGA workers and the Central government committee’s recommendation to downsize the scope of the food security law, it will be a miracle if the budget makes financial commitments to revive these flagship programmes. The finance minister should carefully listen to the rather unexpected suggestion of many industry associations—spend on rural areas. After all, it is heavy public spending on rural development in the past decade that fuelled rural spending, which has contributed significantly to the national economic growth.